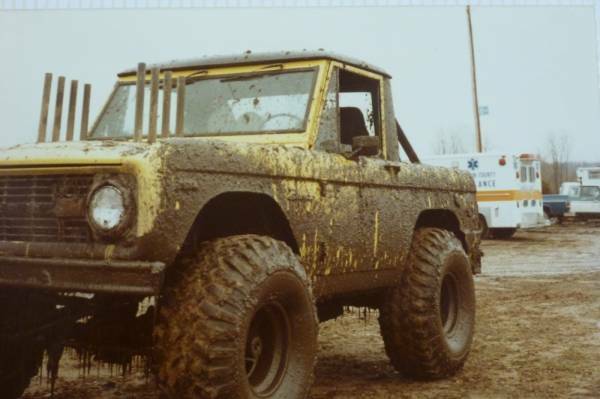 This is the first Bronco that they built and raced with. 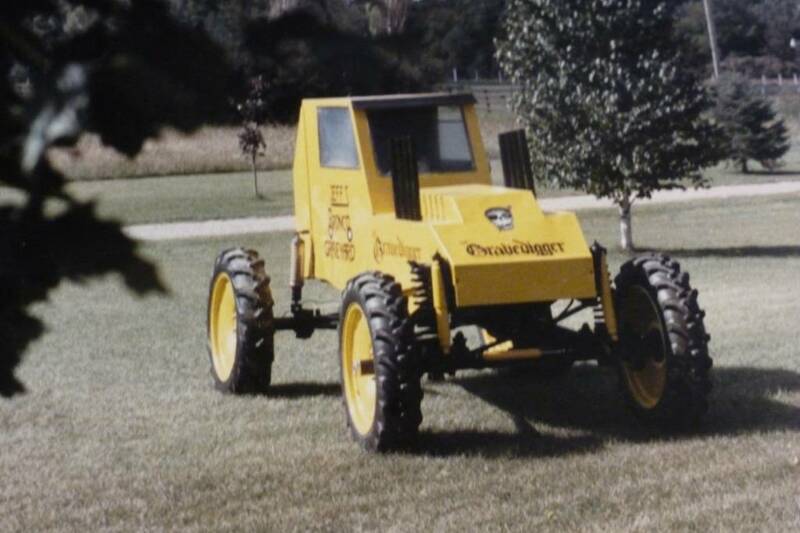 This machine is what started it all! 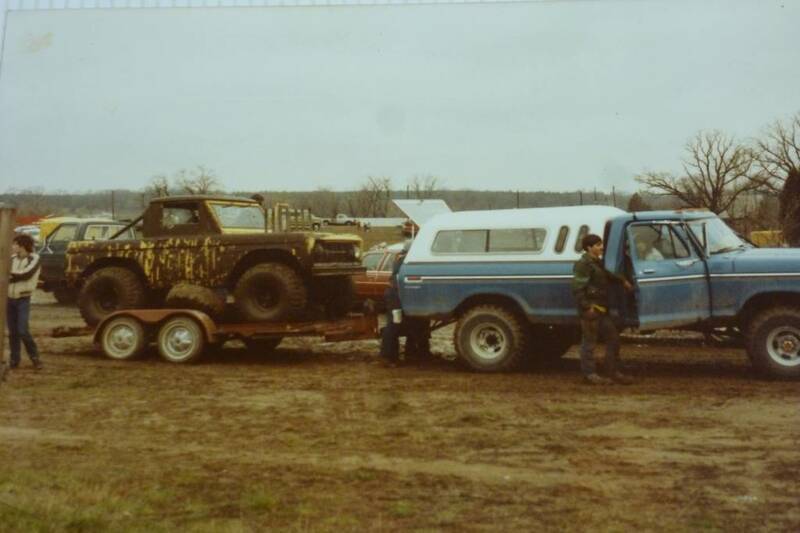 Loading the race truck up on the trailer to take it to a local mud bog. 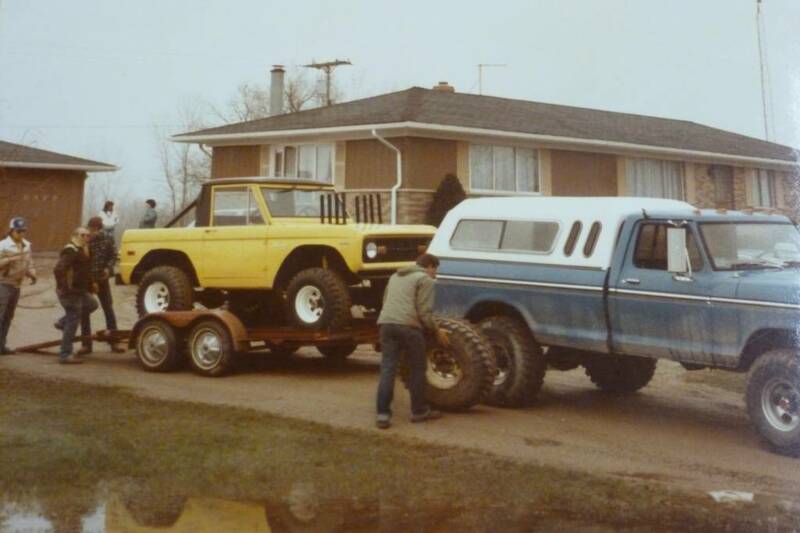 After getting a little dirty, it was time to load up the Bronco and take her back home. 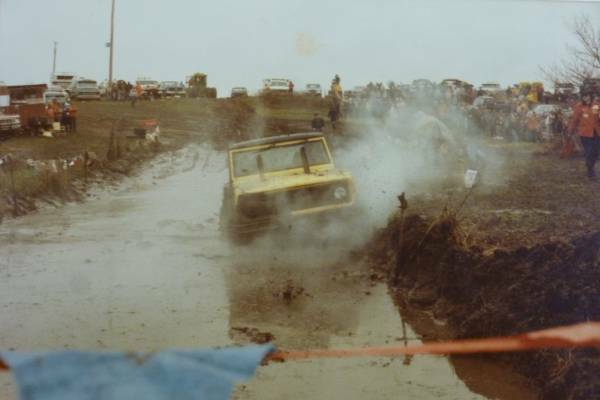 But there were many more events to follow! 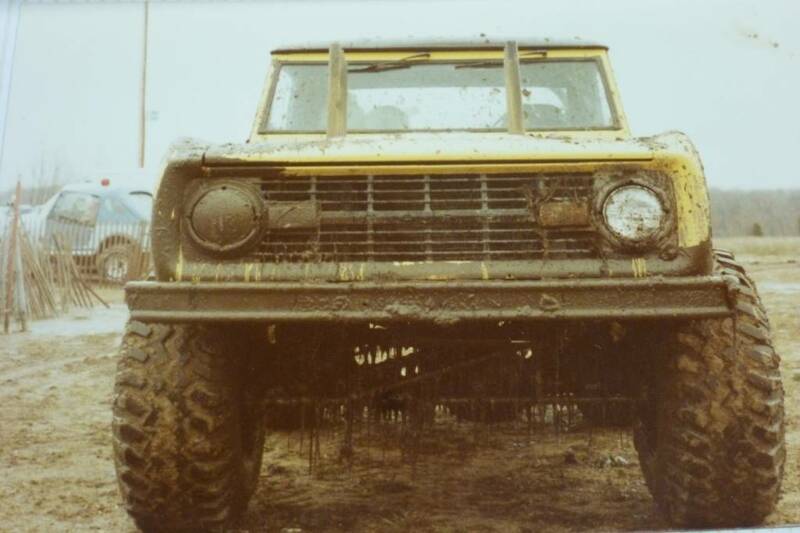 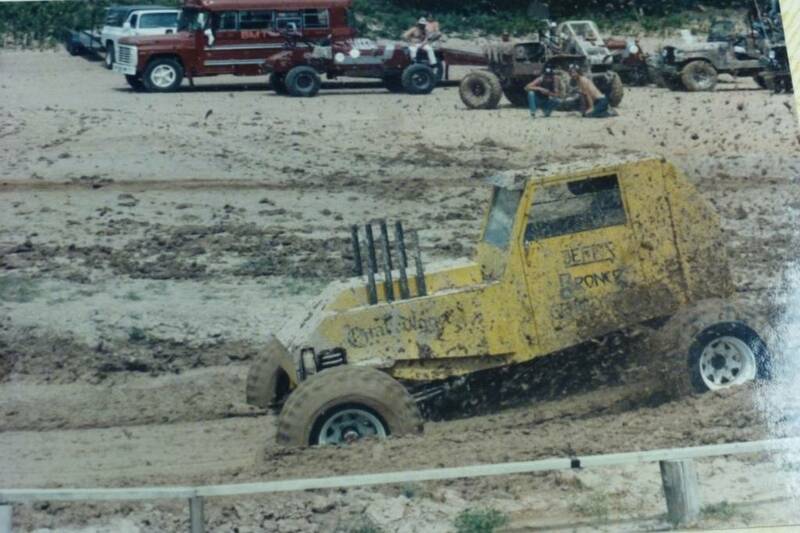 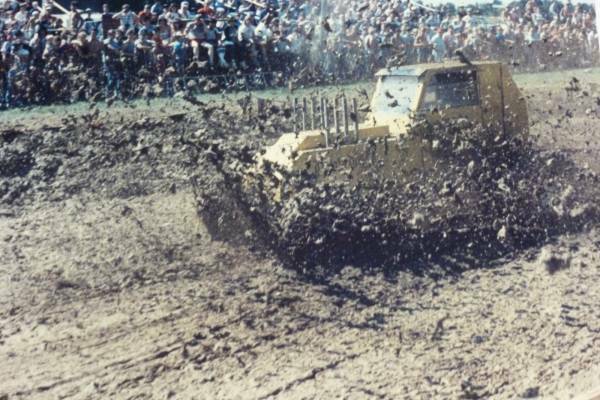 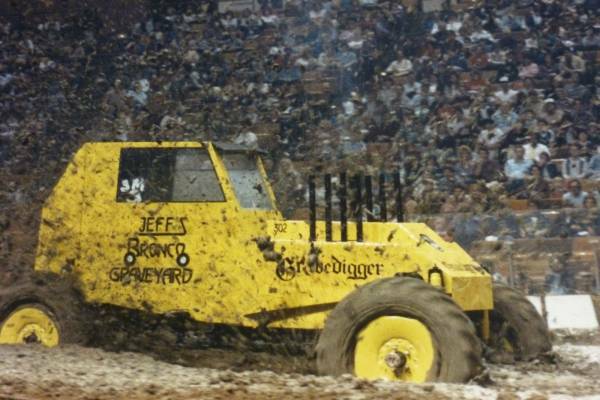 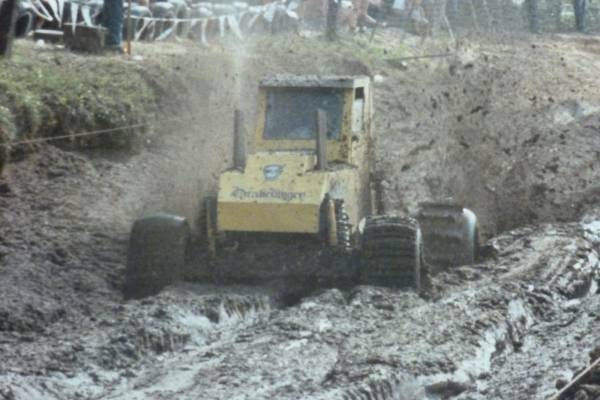 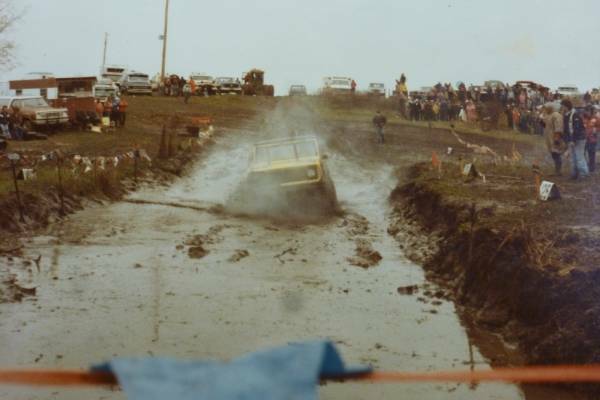 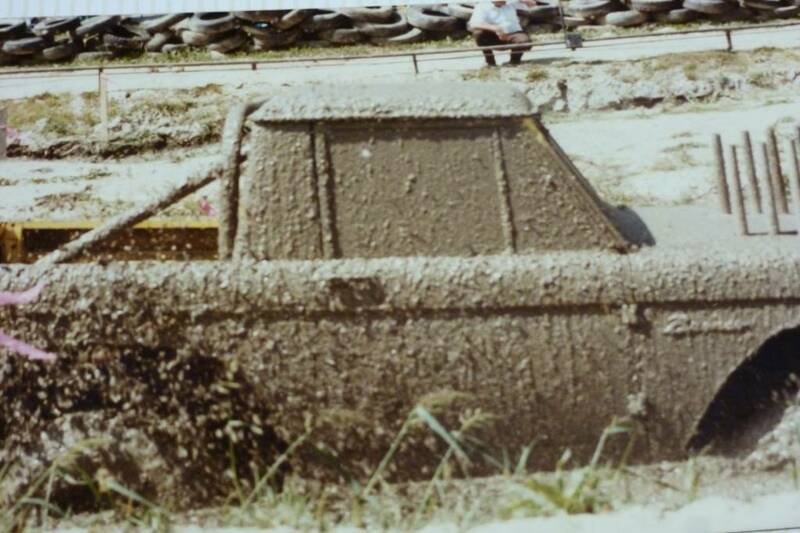 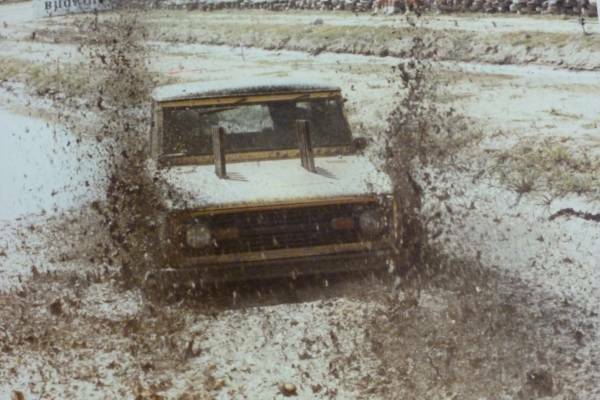 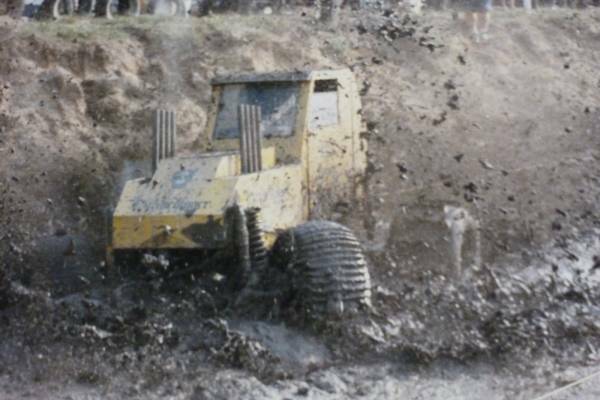 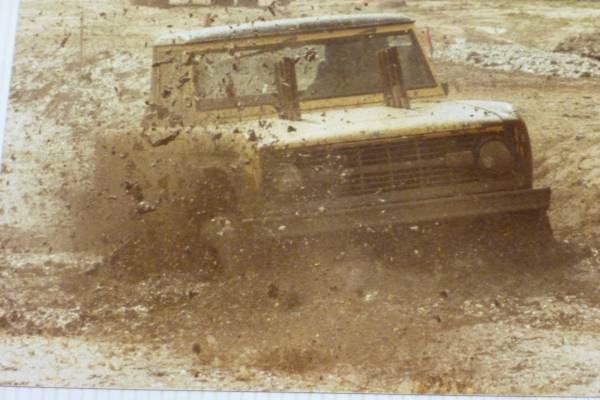 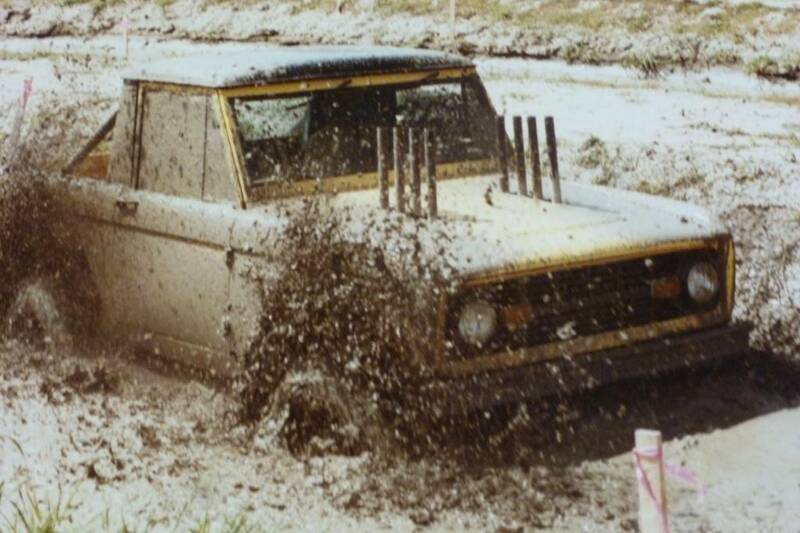 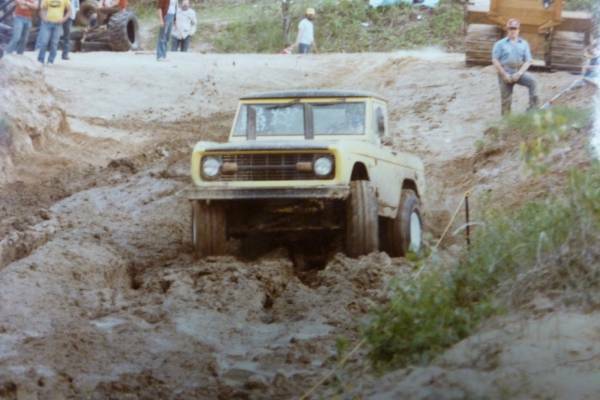 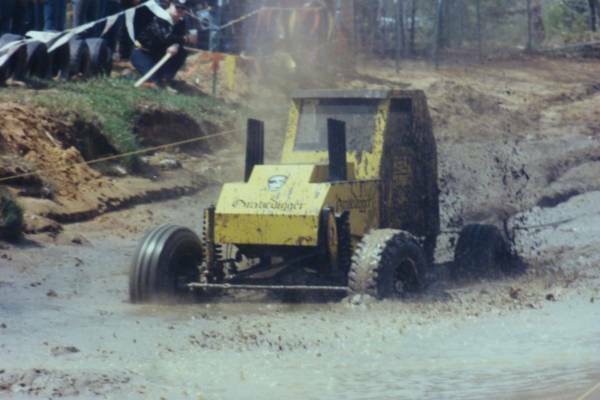 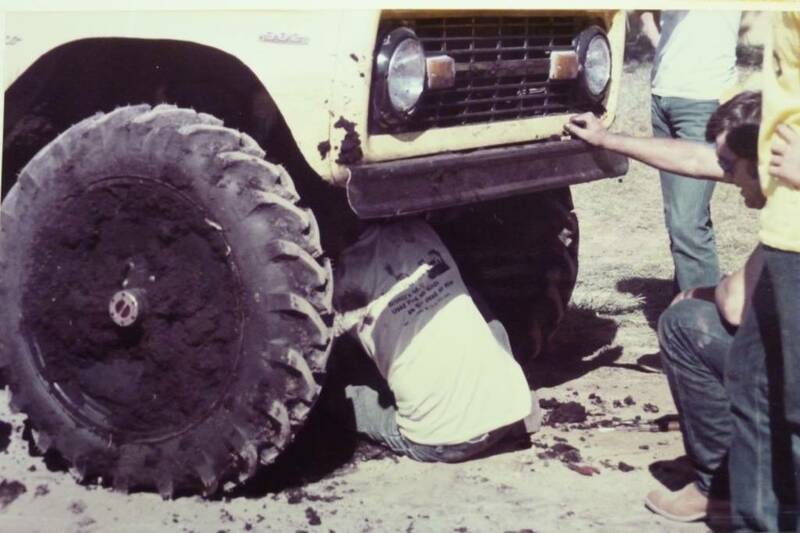 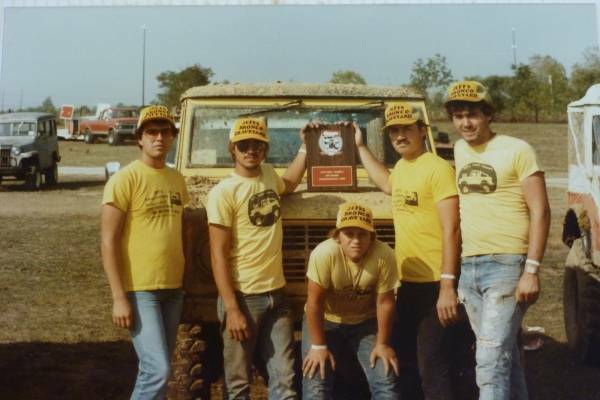 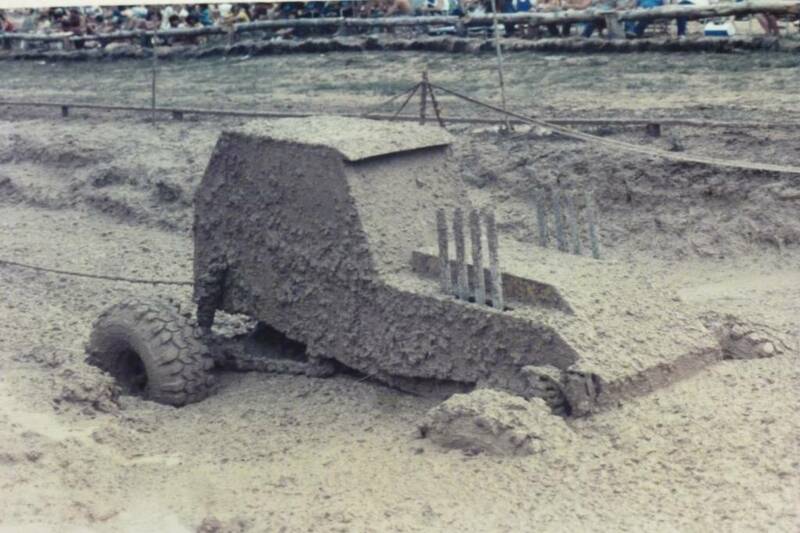 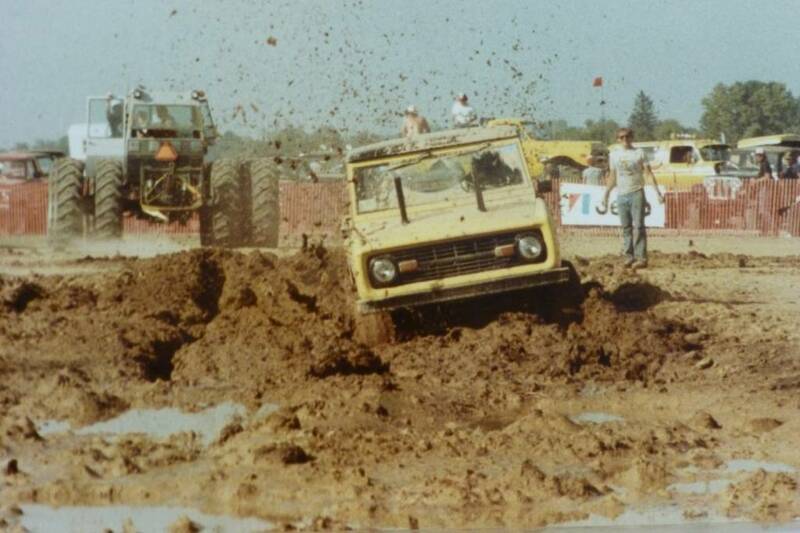 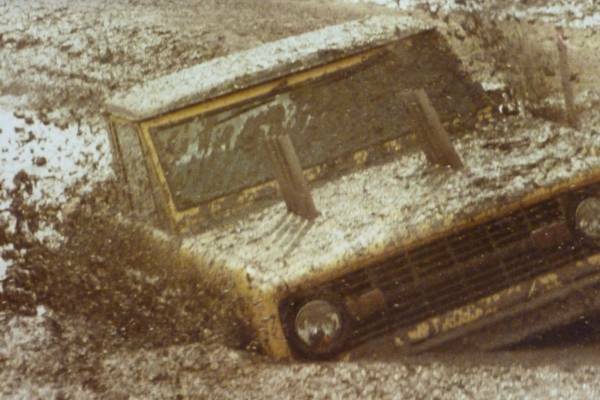 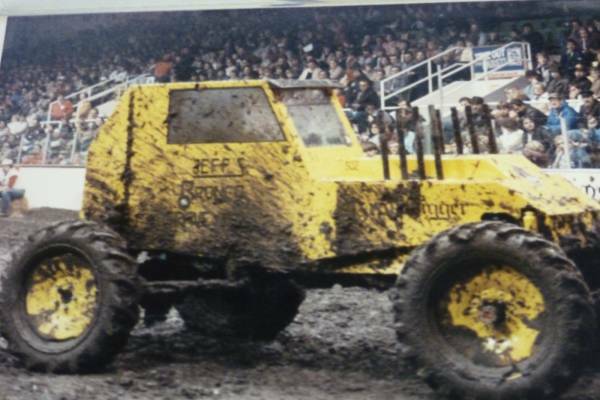 The particular event pictured above won Jeff and his crew a 1st place trophy in class C at the 1983 Indianapolis Mud Bog. 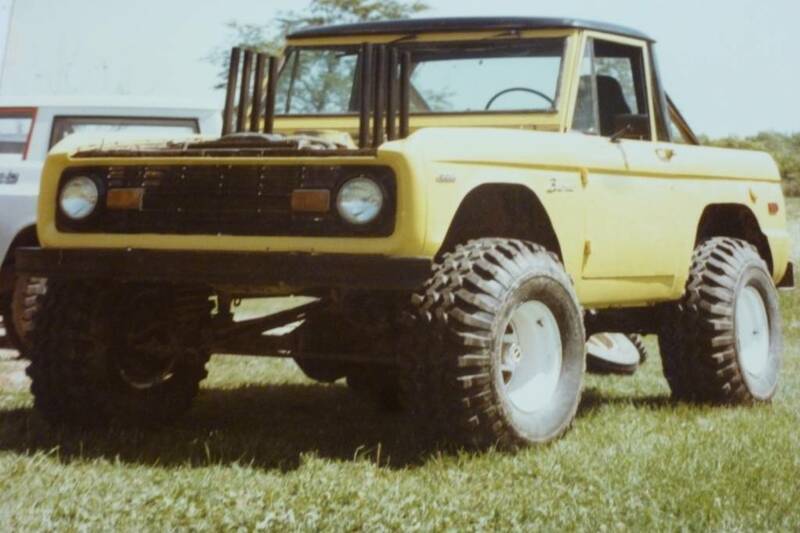 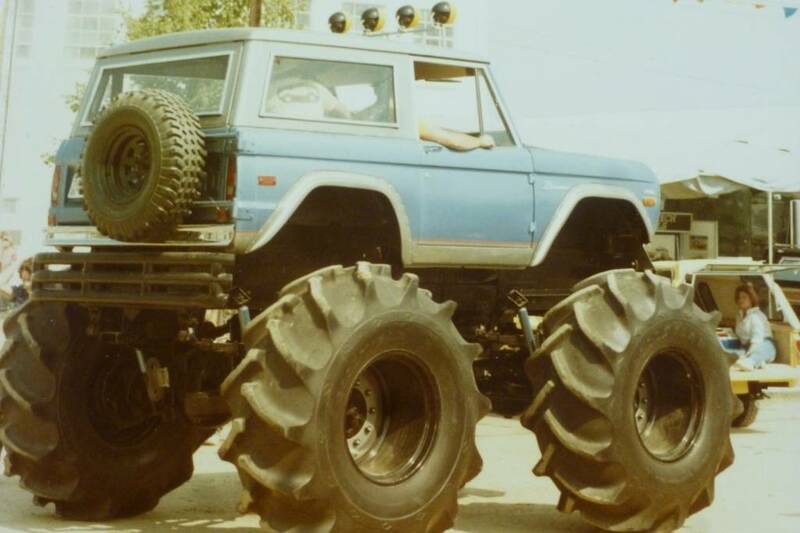 Check out this very unique Bronco called the Hog Machine. 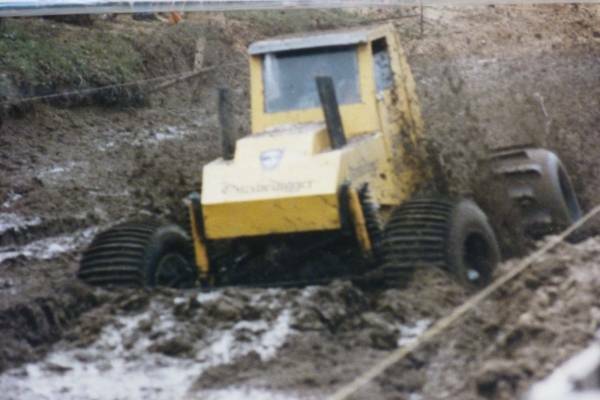 As everyone knows, repairs need to be made even during an event. 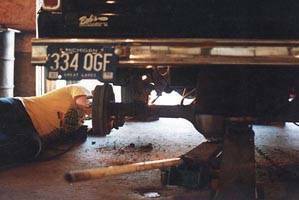 Here we are working on the old race truck. 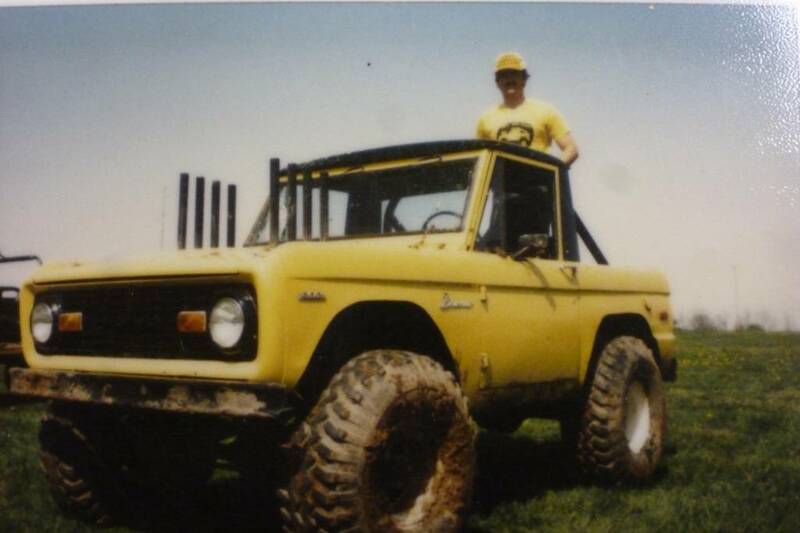 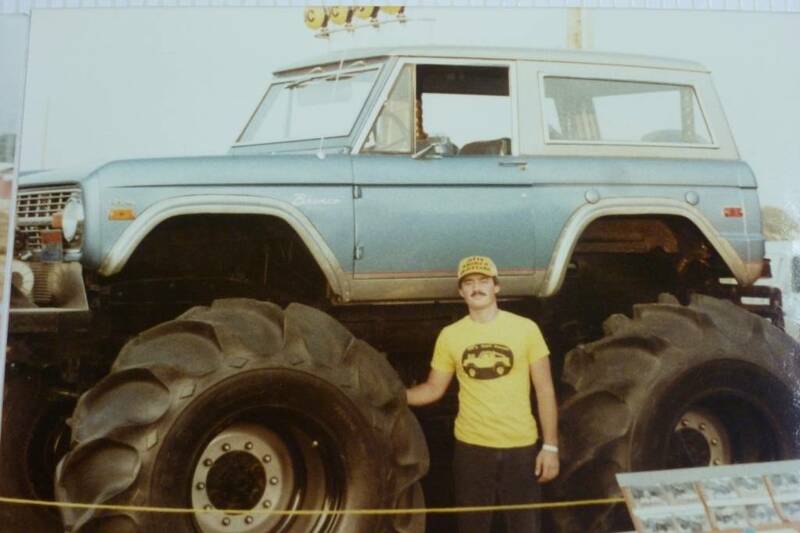 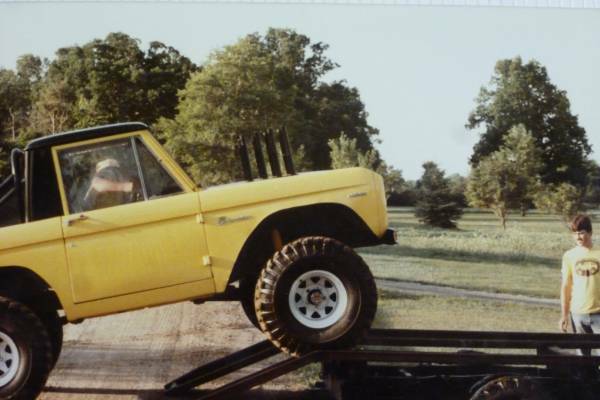 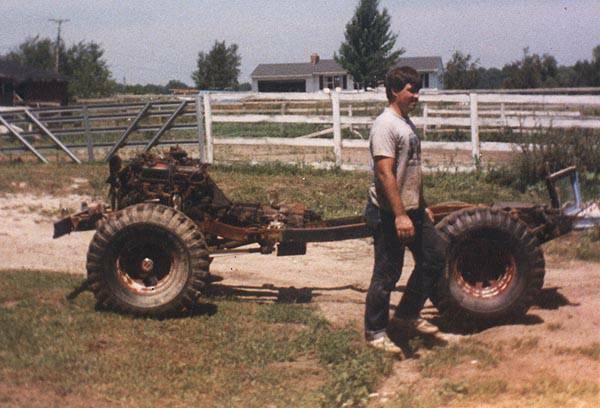 Here is Jeff in 1984 with his original Bronco. 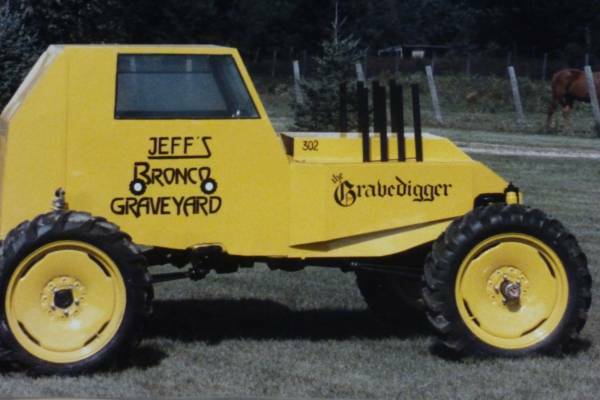 1985-1986 - Jeff’s Bronco Graveyard has Risen! 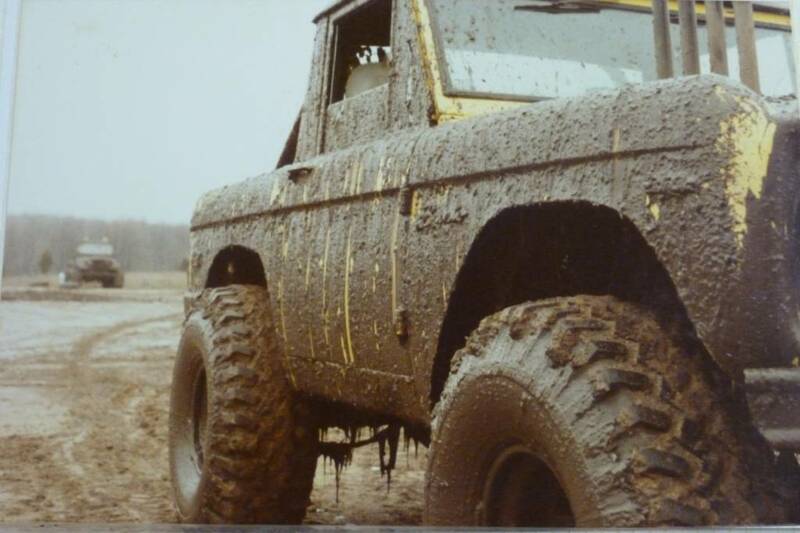 Sometimes you gotta get a little dirty! 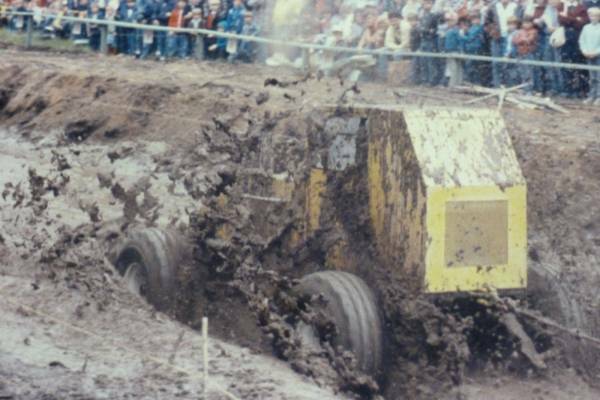 For the really deep mud, they would have to throw on some better and wider tires. 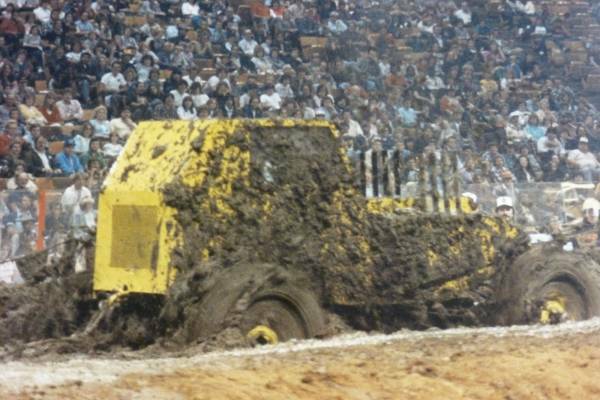 This truck was even involved in indoor mud racing at the Pontiac Silverdome. 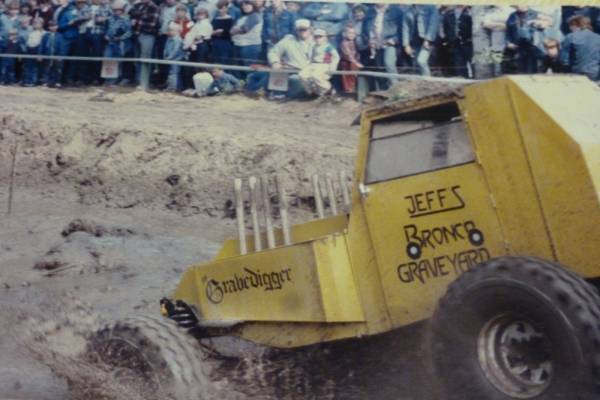 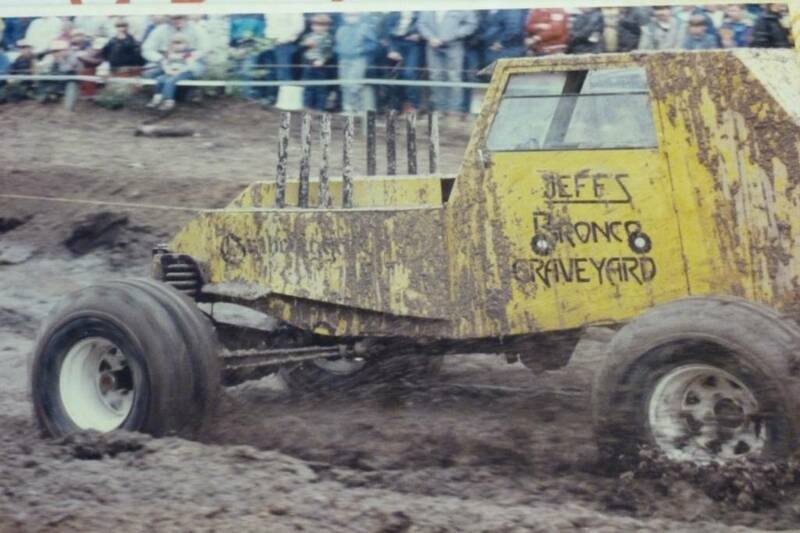 After all the years of racing -and promoting his business in the process- Jeff decided to officially start Jeff’s Bronco Graveyard in late 1985 and leading into 1986 business really started to kick off! 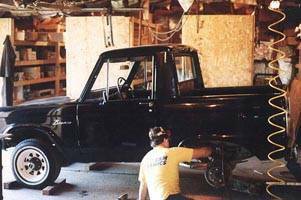 Believe it or not, this is the old barn where Jeff’s Bronco Graveyard started. 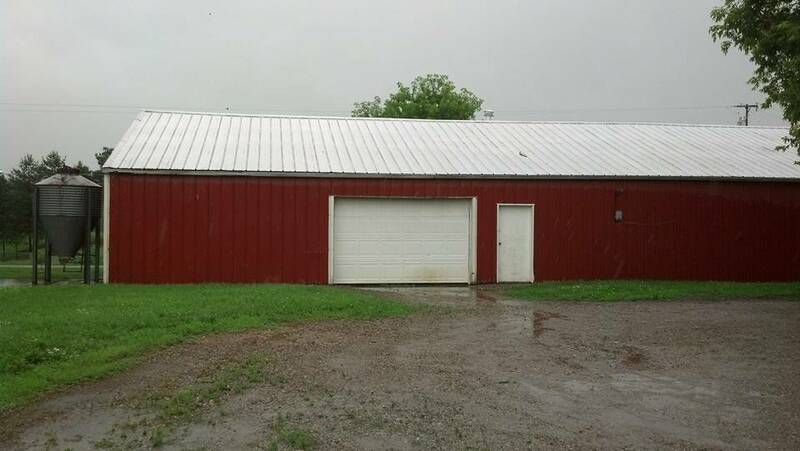 In this small barn is where Jeff and his crew would take apart the trucks and sell the used parts. 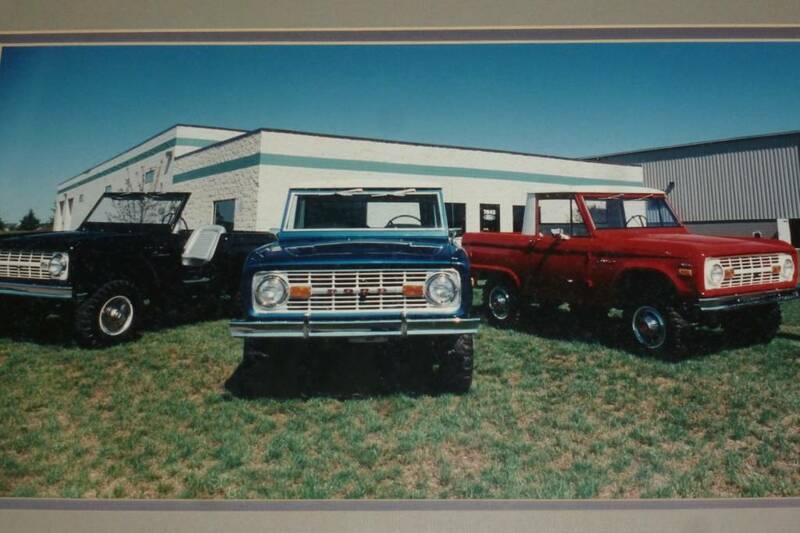 At this point we mainly served walk-in customers, but we did have our fair share of phone calls as the years went on in this place. One of the first Broncos Jeff parted out. 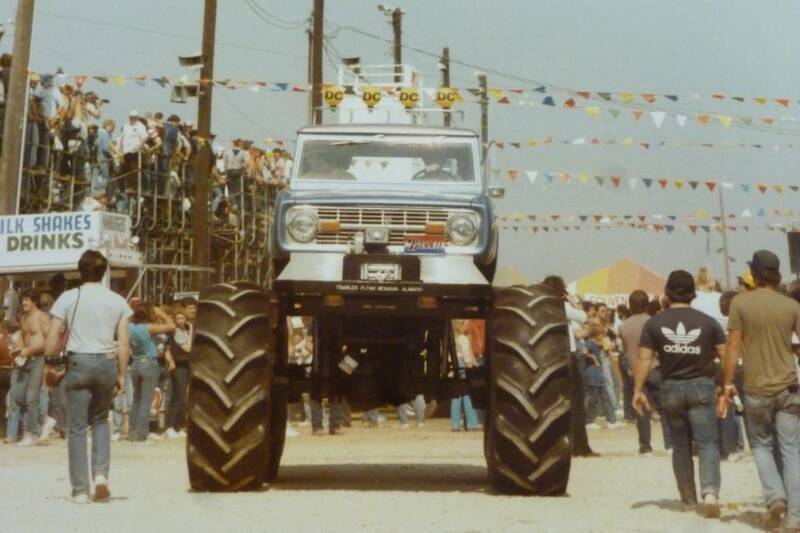 Here is a photo of us doing a lift on the Motor City Madman’s a.k.a. Ted Nugent’s Bronco back in the late 80’s.